I was hoping to find a listing of all the different OEM wheel options originally available for neons. I did find some links to what I believe to be all of the info but i couldn't find all of it in one thread so I thought I would compile as much as I could for others to use later. If anyone can add to this or has a correction feel free to post it here. If it becomes comprehensive enough maybe It could be consolidated and made into a sticky. Last edited by bobneon2k on Sat Jun 15, 2013 11:43 am, edited 4 times in total. 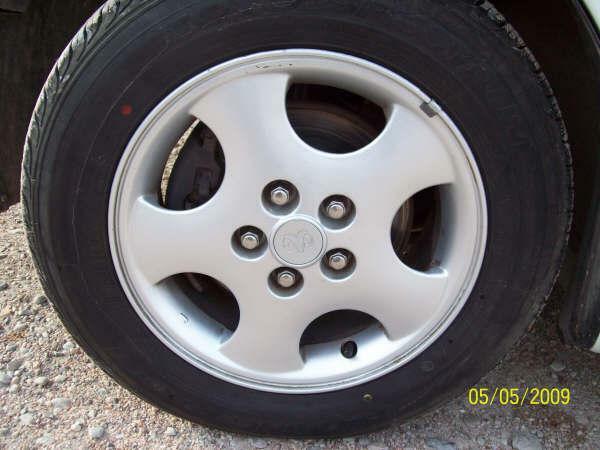 forgot 1st gen R/t wheels which were 5 spoke different from the pre-98 sport 5 spoke and 97-99 sport bubble 5 spoke. jrumann59 wrote: forgot 1st gen R/t wheels which were 5 spoke different from the pre-98 sport 5 spoke and 97-99 sport bubble 5 spoke. actually those 2 1gn wheels were the ones I listed. I didn't know the names, I just went by the descriptions at detroit wheel and tire. I have adjusted their listings and added the 13" 5 slot" rim I found at your link. The ACRs are added too. Jenni wrote: pics would be cool! Pics are an awesome idea! 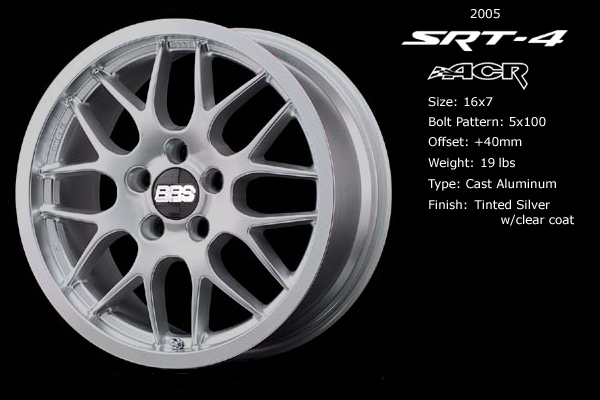 Just as soon as I am sure all the wheels are listed I will start hunting down and adding them. For the sake of total accuracy I would like to make sure ALL available wheels are listed so Please add any wheel not listed guys, even if it is a 10" steelie (with links and / or pics if possible.) and I will keep updating the top post. And let when know when it looks like we got them all. D'oh! For some reason I didn't think that thread would have the info I was looking for so I skipped right over it. And it didn't come up in my searches either. Oh well. Could you add info from this thread that adds to that one to it? (like offset for example) I'd like to think this was not a wasted effort.